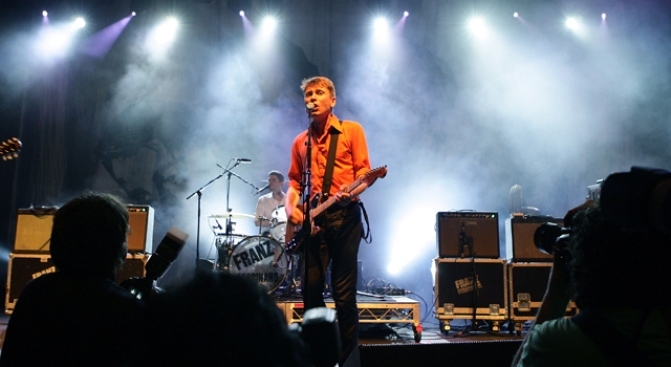 Franz Ferdinand will play the Fox Theater in Oakland on Wednesday night. HISTORIC ROCK:Franz Ferdinand and the Born Ruffians will play the Fox Theater, 1807 Telegraph Ave., in Oakland at 8 p.m. Tickets are $35 and are available from Ticketmaster. I GUESS I DIDN'T KNOW: Rembmer the Crystal Method? We do and they will bring their techno funk to the Phoenix Theater, 201 Washington St., in Petaluma at 8 p.m. Tickets are available via Tickets Now. BREATHE: Join the Tax Relief Party at the Madrone Lounge, 500 Divisadero St., in San Francisco at 9 p.m. Enjoy food, music and much more.